Many of you reading this are more than likely approaching what I call “full on” Nutcracker mode. This means countless hours of rehearsals in preparation for “curtain up.” Added to this are costume fittings, shoe preparation and perhaps purchasing fresh, new stage makeup. But first. Before any of this occurs comes the POSTING of the performance casting! A lot of emotions surround that casting board. A massive congregation gathers reminding one of a bevy of swans. There are celebrations. There’s sorrow. You’ll hear an enthusiastic “YES!” and very possibly see a tear – or two – fall. Some will be hugged or high-fived, whereas others will turn to whisper and gossip. Trust me as one who once received “the glass” in my pointe shoe. Not kidding. Whether or not your name appears where you think it should, I encourage you to consider that there are real, true and valid reasons as to why it is or isn’t listed. 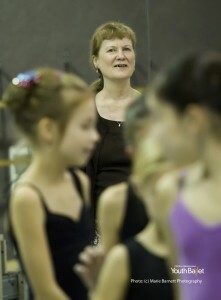 Ballet is not a team sport event where every child receives a trophy. In a school environment where performance experience is part of one’s education, performing is an opportunity, even a privilege. But not everyone gets to experience it. Casting isn’t based on a reward system, nor does it portray a game of favoritism. On the flip side, it isn’t used as a means of punishment either. While I’m sure you can always present the exception, casting is typically based on cause and effect. Work ethic is probably deemed as one of the most important attributes when creating performance casting. Here at Central Pennsylvania Youth Ballet, attendance also comes into play because it shows a certain amount of dedication and reliability. I think that we can all agree that without trustworthy dancers present to learn the choreography, the show doesn’t go on … at least not on a top-notch scale! Marcia [Dale Weary] follows her own proven methodology when composing her performance casting, a procedure that has been refined over the course of 58 years. She begins the process by visiting the previous year’s cast list. If a student no longer fits the role that they performed last year (due to height, maturity, etc. ), she then considers who has learned the part or who may fit the role. She is drawn to those who possess vibrant personalities, and she is determined to give as many students as possible the opportunity to learn various roles. In the end, though, only the strongest will get to perform. With this being said, there exists two outcomes here: You see your name in black and white on that board -OR- your name is decidedly absent. Should it be the latter, go through the emotions you need in order to move on. But then pick yourself up, dust yourself off and move on. Don’t play the blame game, think negatively about yourself, or talk unfavorably about those who did get cast. Do a little soul searching and consider why you didn’t earn a role. Have you been working as hard as possible? If your skill is lacking, what extra classes can you take to improve? You’re the only one driving this particular bus. What can you learn from this experience? And always remember, there will be more opportunities to be earned next time. That’s an interesting point, Johnny Appleseed. 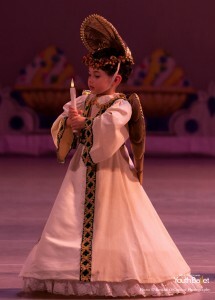 When it comes to performing, a dancer’s ability is absolutely important. 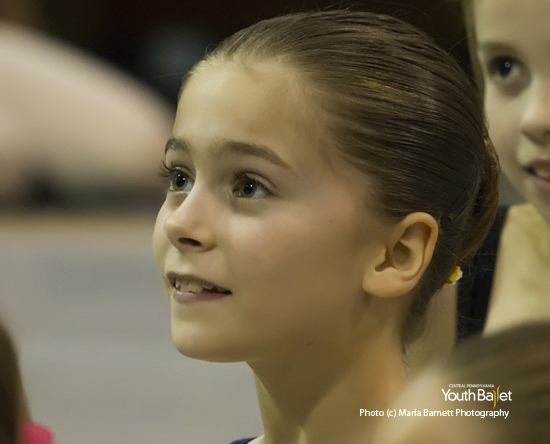 Here at CPYB our goal is to create a strong, well-rounded dancer. An essential element in that training is the opportunity to perform. Through the rehearsal and performance process, students take what they learn in the studio to the stage across a broad range of repertory. If you’ll read back through my post, you’ll see that I wrote, “Work ethic is probably deemed as one of the most important attributes when creating performance casting … attendance also comes into play because it shows a certain amount of dedication and reliability … she [Marcia] is determined to give as many students as possible the opportunity to learn various roles. In the end, though, only the strongest will get to perform.” Work ethic, attendance, ability – it all works together.